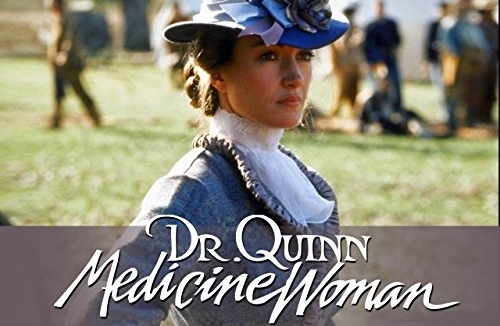 They said that a woman doctor not survive alone on a new country, but I want give up and I not alone anymore, I have a family and it's maybe the biggest challenge of my life ... " Michaela Quinn. In 1867, after the death of her father, Michaela Quinn decided to leave Boston to answer an ad from a small town seeking a doctor, who is on the edge of colonized land named Colorado Springs. Welcomed as a woman to send home and not as a qualified doctor, she will have to fight in order to be respected and accept as a doctor. She will meet Charlotte Cooper and her three children Matthew, Coleen and Brian. This little family will help her settle down and be the first to trust her. She will also meet Sully, a mountain man, a friend of the Cheyenne Indians. They will help each other on various occasions. After the death of Charlotte Cooper, it was decided that Matthew, Coleen and Brian would go live with Michaela as had been the last wish of their mother. After Brian runs away Michaela goes looking for her and falls on Indians. The story of a strong woman, fighting for those she loves and for her ideas.